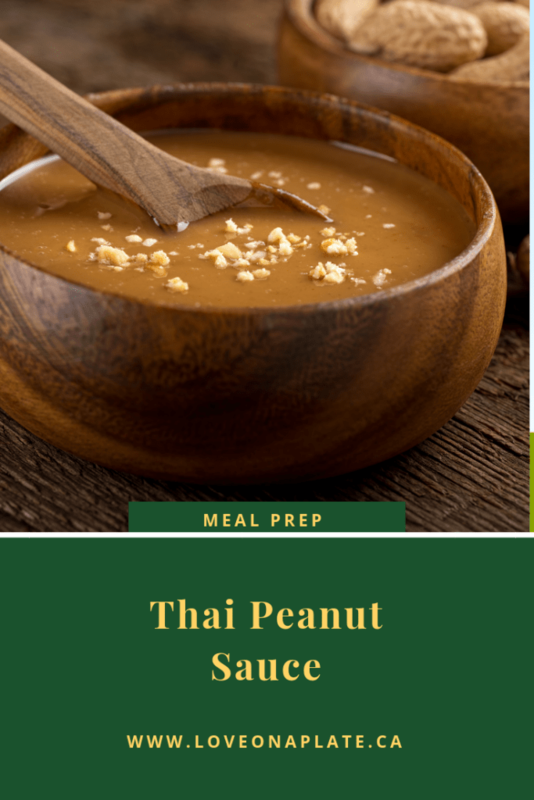 Peanut Sauce is a staple in our house. I make a big batch in under 5 minutes and use it all week long to get delicious dinners, lunches and snacks ready in a flash. I do the same with Szechuan Sauce, Stir Fry Sauce and usually one homemade Vinaigrette dressing. With these staple recipes in my arsenal (and my fridge), even on the craziest of nights I can still feed my family a home cooked meal, without a lot of work. Honestly one of the most flexible sauces; it’s like getting one of those build your own bowls at a take out counter, but it tastes so much better. Choose a protein, add at least two kinds of chopped vegetables, and serve over steamed rice or noodles. For those looking to keep it low carb, cauliflower rice works really well, and for a Gluten Free option, rice noodles are the perfect choice. Wondering what goes well together? What I really love is that it’s so easy to double the recipe and then use it to make mouth watering, healthy Thai Lunch Bowls that everyone in the house enjoys eating. 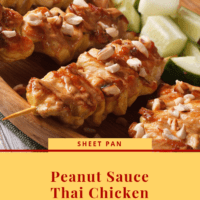 What else can I do with Peanut Sauce? Combine all ingredients except water. Whisk to fully combine. Add water, 1 tablespoon at a time, until desired consistency is reached. 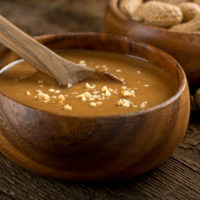 I normally use two tablespoons for a sauce and up to four if using it for a dressing.